Now Accepting Applications for the Creative Capital Award! The long-awaited moment has now arrived: the application for the Creative Capital Award is open through February 28. In a shift from previous cycles, artists working in all art forms are now welcome to apply in the same award round. Artists who receive the Creative Capital Award will have access to up to $50,000 in funding to develop their project, plus advisory services valued at $45,000. 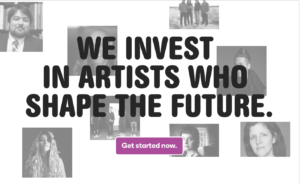 Creative Capital is interested in groundbreaking and original projects, as well as artists who are ready to take full advantage of non-monetary services. Apply, share the application with artists in your circle, check out the blog post “5 key items to know about the application,” and contact if you have any questions!